Security is paramount for all business’s, both as a deterrent and as a safety measure. SwiftPOS integrate with many leading Australian security systems. By simply overlaying CCTV footage with transaction times and records can easily pin point the exact time of an incident. 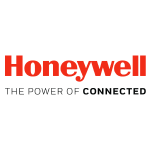 SwiftPOS’s POS Security integrations include leading security systems like, DVR Solutions and Honeywell. DVR Security Solutions, provides the latest in security technology for homes, businesses, government and nonprofit agencies with cost effective, easy to use integrated security systems. DVR Security Solutions is licensed and fully insured. Our commitment and dedication to customer satisfaction includes a warranty on all work performed. We handle all calls and services within 24 hours turnarounds.